I love behind-the-scenes insights into the making of my favorite games. Although I usually watch or read them after I'm finished with a title, instead of before one is released, I enjoy reading and watching the stories of the production itself. Any successful game, large or small, takes a remarkable amount of coordination and dedication. A big-budget, big-name game like a Call of Duty title requires an immense amount of planning in a hundred different areas to pull off. But sometimes the most interesting development stories are of the games that simply vanish, and never end up seeing the light of day. The days when our development tale ends with neither a great game nor a terrible one, but with no game at all, are the days when we can perhaps best see what really glues a project together — or doesn't. 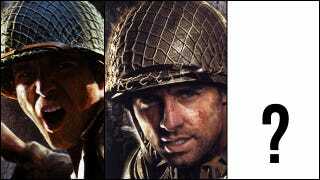 What Was Call of Duty: Devil&apos;s Brigade? Five months before the release of Call of Duty: Modern Warfare, a small team of developers began work on a top-secret, third-person Call of Duty spin-off. Set in Italy during World War II, Call of Duty: Devil's Brigade would feature squad-based mechanics, exploration, and a grim story about a team of skillfully trained killing machines. By contrast, the development team was tame; mostly friendly and ambitious industry veterans. Early on, the project had everything going for it: top talent, the publisher's financial support, and the blessing of original Call of Duty developer, Infinity Ward. In March 2008, nine months into development, Devil's Brigade was unceremoniously canceled. Plante's interview with developer Jason VandenBerghe and other members of the former Devil's Brigade discusses what material the team was able to develop, the direction that they had hoped to take the game in, and the big-picture goals of what Devil's Brigade was supposed to be. They also discuss the shape of Activision, as a company, at the time and the internal and external pressures that led to the game's eventual cancellation. "Here's what happened: We were ready for our final green light just as the merger with Vivendi/Blizzard was announced. As is normal in a merger, you do everything you can to clean up your balance sheet. A studio that isn't in full production on a title with major revenue attached to it, which is about to ask for tens of millions in development dollars, is a great candidate for closure at that point. Was this also a way to keep IW happy after they had just produced Modern Warfare and made a hojillion dollars? Perhaps, but nobody ever put it to us that way." "And the thing is," says VandenBerghe, "if the IW guys say they want to control the Call of Duty IP, they don't even have to say our name. We just got sideswiped. And that happens. I don't begrudge them for that." The tale, ultimately, is not a high-drama, high-tension cautionary story. Rather, it exposes the business of game development for what it truly is: a business, in most ways like any other large corporation, focused on trimming edges and increasing the bottom line. Our biggest entertainment companies — not just in games, but also in film, television, and the rest — bring us incredible worlds that we can lose ourselves in. Development and play are both creative and set apart, in many ways, from the rest of day-to-day life. Reminders that a bank and a game studio have more in common than we think may be jarring, but they're good lessons to keep in mind.